Oh lucky gift recipients! 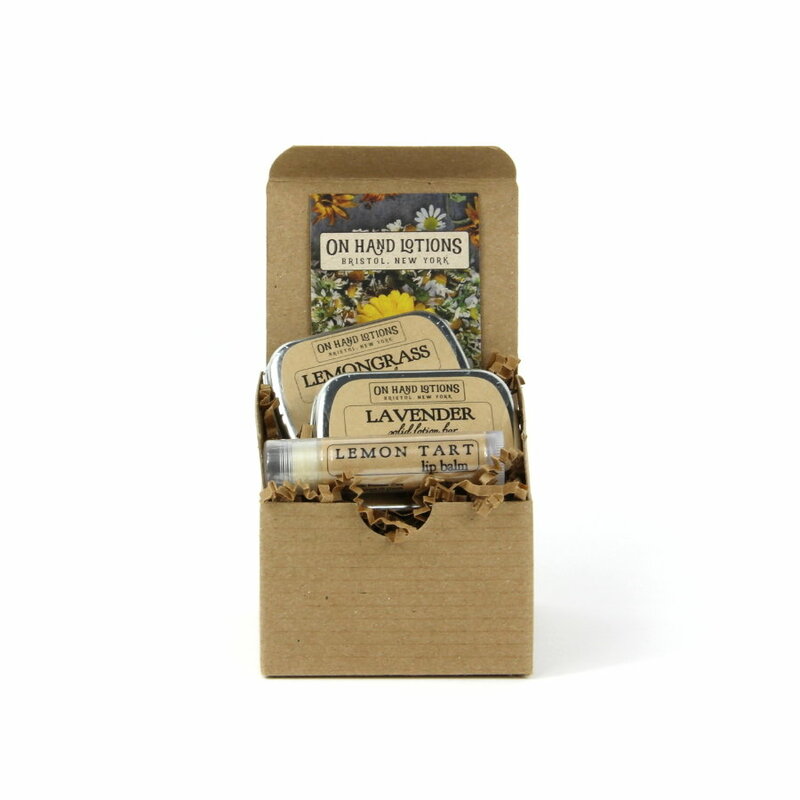 This gift set includes your choice of TWO .5 ounce lotion bars and one .15 ounce lip balm, all neatly tucked away in sweet gift packaging, ready to give. Our solid lotion bars feel creamy and decadent and are perfect for weathered hands, cracked heels, chapped lips, and rough patches. Each bar comes in a small metal tin perfect for purse, backpack, pocket, or office desk drawer.